In some ways, the film is at least as complex as Cloud Atlas, though more grounded and less metaphysical… and instead of individual actors playing multiple characters, multiple actors play the same characters at different times and in different circumstances. (Vic Lang, the son of Bob Lang, Hugo's character, appears in several stories and is even played by Richard Roxburgh in the segment "Reunion", a story set many years after "Commission", but appearing before it in the film. (Meaning, yes, the stories aren't told in chronological order. But it's nothing you Hugo fans can't handle.) 😉 A younger version of Bob Lang is portrayed in a later story ("Fog") as well. Cate Blanchett plays Gail Lang, Bob's daughter-in-law (opposite Roxburgh's version of Vic) in "Reunion". (Cate also played Hugo's mother-in-law in Lord of The Rings and step-daughter in Little Fish, trivia buffs will note.) 😉 I promise none of this will play out as confusingly as I'm making it sound. I know I haven't been able to compose a full Hugonuts update in some time… part of this is because I've been overwhelmingly busy, part because there hasn't been any earth-shattering breaking news. Hugo has remained in Sydney as far as I'm able to determine, and is probably still working on The Mule. (That production filmed some scenes and exteriors in Bangkok earlier this month, but I now doubt Hugo was involved in that. He was never spotted there, at any rate.) Hugo will put in an appearance at the Melbourne International Film Festival in late July/early August (according to themusic.com.au)… his films Mystery Road and The Turning will screen there. Mystery Road screens on July 26, The Turning on August 3 (its gala premiere) and August 10 and 11 (two screenings the 11th.) Tickets are going fast, according to MIFF's website, so if you're planning to attend, act quickly. I don't know whether Hugo will attend screenings for both films or just The Turning's premiere… certainly he won't be as involved as he was in the Sydney Film Festival. But, at any rate, the long drought of Hugo News should soon be over. You can also read MIFF festival previews and other details at TheLowDownUnder and EverGuide. The Turning debuts in Australian cinemas 26 September. International dates haven't yet been announced, but I feel certain a film of this scope featuring this much talent will have a wide international release, either in arthouses or on VOD . Sen doesn't give answers. There really aren't any to give. The outback is a broken land filled with broken people, at least when it comes to race relations. Mystery Road calls them out on this. That is a powerful declaration and the cinematic expression of it is more chilling than any murder mystery could ever be." Looks like Hugo Weaving (and Cate Blanchett) weren't needed for filming pick-ups for the second and third films in The Hobbit trilogy, which unfortunately suggests the characters won't play an active role in The Battle of Five Armies. (Hugo confirmed it hadn't been filmed yet last fall, and Peter Jackson's blogs from the set hint that the Mirkwood Elves and (of course) the Dwarves have a central role in that sequence.) Jackson confirmed that all supplemental filming involving "Elves, humans, wizards and Hobbits" was completed by July 12 without Weaving or Blanchett having put in an appearance on set. They will appear in at least one more film (possibly both) but probably in a minor capacity. Meanwhile, you cam see the latest whimsical Hobbit set photos (including a scandalous image of Bilbo wearing shoes(!) at Peter Jackson's Facebook Page and E! Online. SBS posted a nice preview of Hugo's third collaboration with director Craig Monahan, the prison rehab drama Healing. No new details or photos, but there are some classic preview/interview videos promoting their first project, The Interview (1998) embedded in the piece. Through there hasn’t been any spectacular breaking news since the last entry, there are enough new tidbits on several of Hugo’s films (and, as far as the Melbourne International Film Fest is concerned, specifics) to warrant a full update. First up, Hugo’s next film to premiere will be Tim Winton’s The Turning, which will screen at the Melbourne International Film Festival next month. The film’s world premiere will serve as MIFF’s Centerpiece Gala on 3 August at 7pm, with additional showings on 10 August at 10.30am and 11 August at 6.30pm. Tickets are selling quickly, so if you plan on attending, you’ll nee to act fast. You can buy tickets or read additional venue details here. There will also be a Q&A session about the film held on 4 August at 1.30pm with author Tim Winton, producer Robert Connolly and several of the 17 directors who worked on the project in attendance. Details on that, and ticket sales, are here. 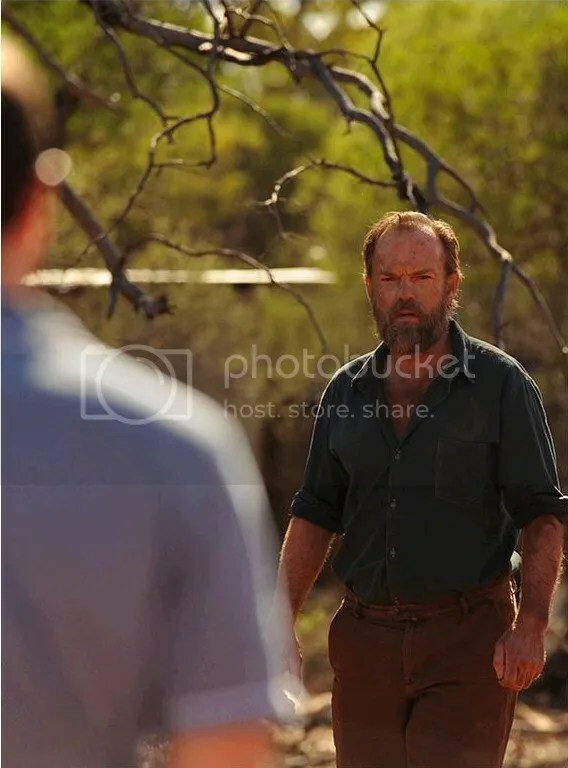 No word yet on whether Hugo Weaving will attend the premiere of this film or be on hand at MIFF in any capacity; Mystery Road will also be screened there on 26 July (more details on that below.) As I’ve mentioned previously, Hugo Weaving is featured in a segment entitled “Commission”, directed by his old friend and frequent past costar David Wenham. Hugo plays “Honest Bob” Lang in a story of about a father and son reuniting after years apart. You can read more about The Turning at Junkee.com, 10 Magazine, ReFest Magazine, Madman Entertainment, Onya Magazine, Inside Film (an article about some of the film’s first-time directors, including Wenham and Mia Wasikowska), Yen Magazine, Geek of Oz, Pedestrian TV and Mumbrella. You can read more about the Melbourne International Film Festival at Inside Film, Event Finder and, of course, at the MIFF website. From The Turning’s Facebook Page, which also features a great shot of Cate Blanchett and Richard Roxburgh in Reunion. The best sources for updates on The Turning remain the film’s Facebook and Twitter accounts. There is an official website too, but so far all it features is the film’s teaser trailer. The Turning will have its Australian cinema release 26 September; no word yet on international distribution, but with this cast I figure it’ll have to at least get VOD distribution, and ideally an arthouse release worldwide. 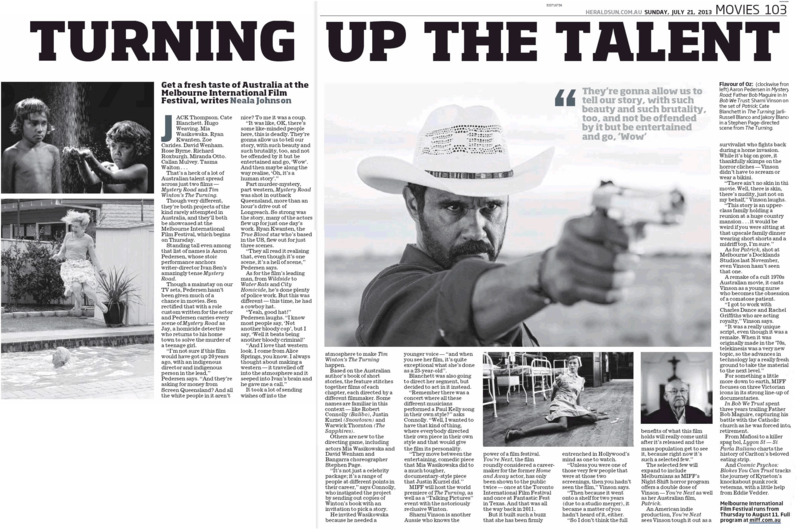 As I mentioned, Ivan Sen’s widely lauded film Mystery Road, which had its world premiere at last month’s Sydney Film Festival, will also have a screening at MIFF, on 26 July at 6.15pm as part of MIFF’s Australian Showcase. There will also be a talk featuring Ivan Sen and star Aaron Pedersen on 27 July at 4pm. 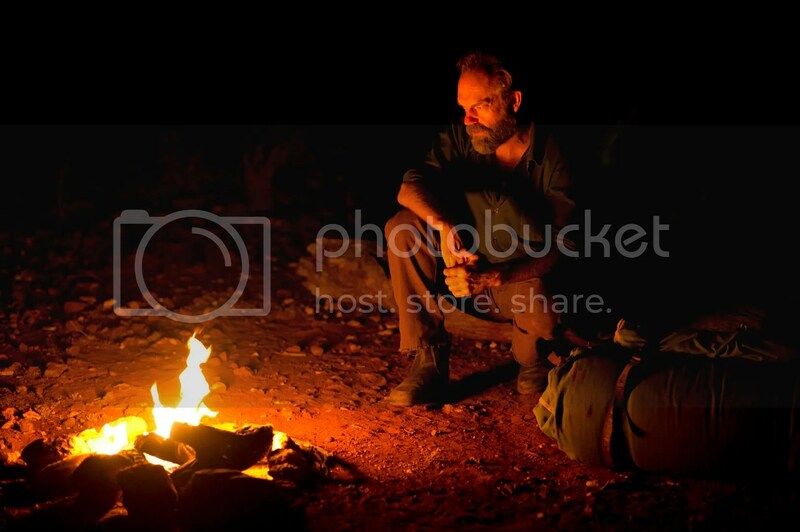 Unfortunately Mystery Road’s Australian release has been pushed back from August to October; hopefully that won’t impact the projected early 2014 US/international release previously announced. I don’t know if Australia follows America’s tendency to use August as a dumping ground for mindless summer movies that don’t quite have the box office potential of the May – July “tentpole” releases, but if they do, the change to the more serious, artistically-intentioned fall release season makes sense. The controversial awarding of the SFF’s main prize to Only God Forgives continues to be debated online. Film critic and journalist Julie Rigg, who has interviewed Hugo many times over the course of his career, chatted with him and fellow SFF juror Paolo Bertolin after the awards presentation and shared both audio clips on ABC Arts. She heard two very different responses to the film, which essentially confirm my suspicion that the jury was divided and that Hugo and another juror (probably Anand Gandhi) were talked into changing their votes by the three others. (Bertolin and the two female jurors, Kath Shelper and Pia Marais, have been vocal in their praise of the winning film while Weaving and Gandhi have been vocal only in not wanting to discuss it at all, 😉 though Hugo expressed warm feelings for all his fellow jurors and stressed that the decision caused no rancor among the group.) I’d love to hear which film Hugo actually preferred, as he does state the final choice, which took 6 and a half hours, was between two films. Even the awards statement, which Hugo read during the presentation, was “was carefully phrased and debated word by word” by the group, according to Rigg, and thus wasn’t Hugo’s personal statement, but one on behalf of and composed by the full group. That said… I’d love to see video of the Julie Rigg interview, because clearly he gives her quite an expression when asked “what Nicholas Winding Refn was saying” with Only God Forgives, as she says, “Clearly you don’t want to go any further”, and they both laugh. Later he says, “You’ve got to learn to have your opinions chiseled a bit” on a festival jury, then later says “I think you shouldn’t talk to me too much about this film” when asked what about the winner he “hadn’t seen before”. Reminds me a bit of the late, great Roger Ebert’s refusal to give The Human Centipede a rating. Maybe that is a bit colder (or more “chiseling”?) than just ranting about how bad it was, which some directors will cynically blurb to get attention. I wish I had more specific info about Hugo’s role in this film, but currently there are no new details about whether Elrond will appear in both remaining Hobbit films or what his scenes will involve. PJ has confirmed that the Battle of Five Armies was among the sequences being shot during this spring/summer’s “pick-ups” for the last film, There and Back Again. Hugo has not yet been involved in the current filming, but it will probably continue for at least a few more weeks. Hugo did confirm he shot scenes for “both films” when there were only two, and that, as of last fall (when he last spoke of The Hobbit), he hadn’t shot any Battle of Five Armies footage and hadn’t been given details as to whether or when he’d be needed for additional work on the trilogy. Hugo also doesn’t appear in Peter Jackson’s latest Production Diary Video (#11 for those counting), but it’s so entertaining you’ll probably want to watch it (or watch it again) anyhow. I suspect that the second film focuses more on the Mirkwood Elves, including Legolas, Thranduil and the controversially non-canonical Tauriel. (For the record, I have no issues with Tauriel being added… even when I was a kid first reading The Hobbit, I thought it could use more female characters. Because it had absolutely none. PJ has promised that Tauriel isn’t just a Mary Sue construct (ie a love interest for Legolas who has no real role in the story or other justification for being there)… he’d better be telling the truth. But nothing I’ve seen so far gives me reason for concern.) I still hope Elrond at least makes an appearance in the two remaining films, but we’ll have to wait awhile longer to know for certain. Til then you can look at scans from the Empire DOS issue at Comic Book Movie. And PJ also promises a second new Production Diary video covering the latter half of this summer’s pick-ups and reshoots before summer ends. 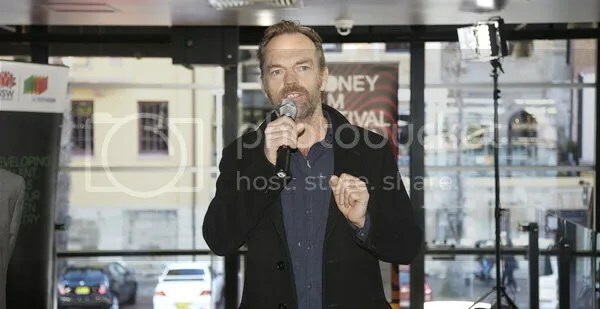 Hugo Weaving was spotted at Art of Music Live, a fundraising concert, on 26 June. He has supported the charity for several years, and donated $25K in a charity auction for the group in 2010. The Mule has been filming in Bangkok, Thailand over the past couple of weeks, though no specifics about which cast members re on hand are available. The film’s Twitter feed continues to provide humorous but real-information-free posts and videos. I suspect Hugo Weaving plays a supporting rather than lead character at this point. The Gift, a short film starring Hugo’s son Harry Greenwood, has been picked up by several prominent international festivals, including MIFF, The Palm Springs Short Film Festival and “two others in LA”, according to The Daily Telegraph.